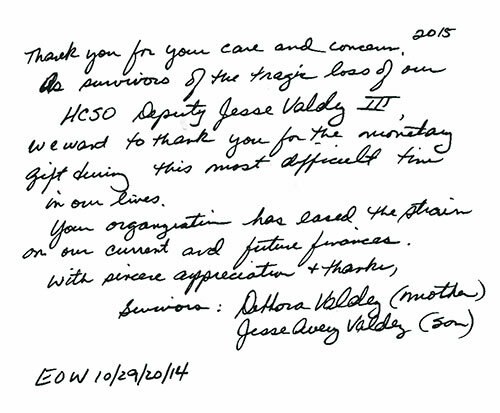 GHRCF received this wonderful thank you card for our contribution to honor Harris County Sheriff’s Office Deputy Jesse Valdez III’s Memorial from his mother, Debhora, and his son, Jesse Avery. Thank you for your care and concern. 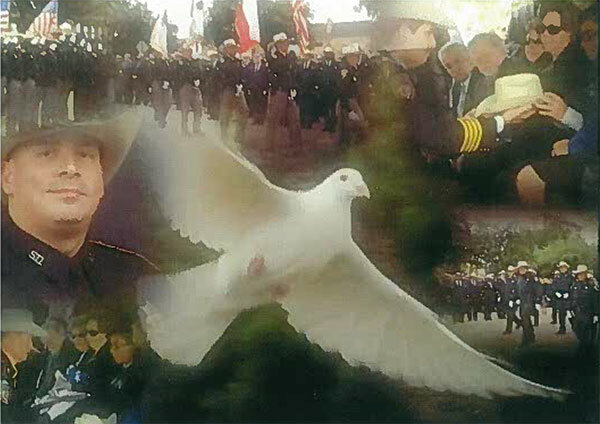 As survivors of the tragic loss of our HCSO Deputy Jesse Valdez III. We want to thank you for the monetary gift during this most difficult time in our lives. Your organization has eased the strain on our current and future finances. GHRCF hopes that Debhora and Jesse Avery find some peace in through these difficult times.